The Constellation class was authorised in May 2280 by Commodore Gihlan'T'Aehn of Taulihna IV. 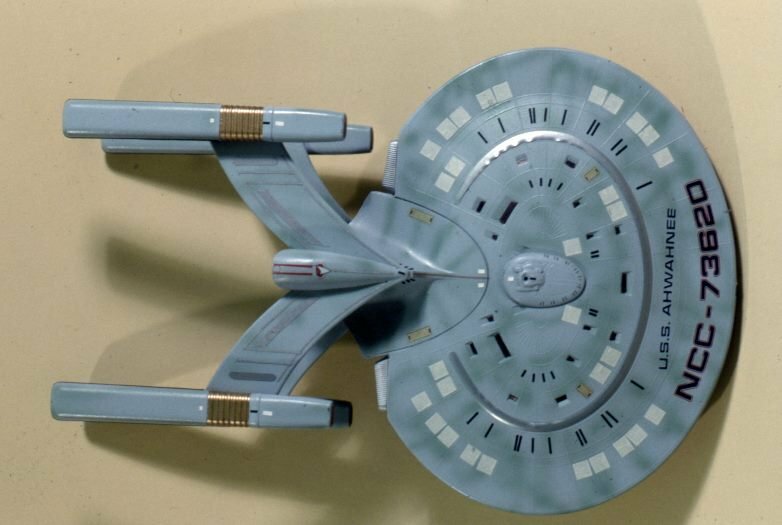 The Constellation class starship design came about due to a number of factors including the weaknesses of the earlier Constitution class design and the continual delays on Project Excelsior. The Constellation class starship is built around the word survivability. In short, the Constitution class starships were not surviving their 5-year missions because the wonders, mysteries and threats out there were just too powerful for a design that was then thirty years old. 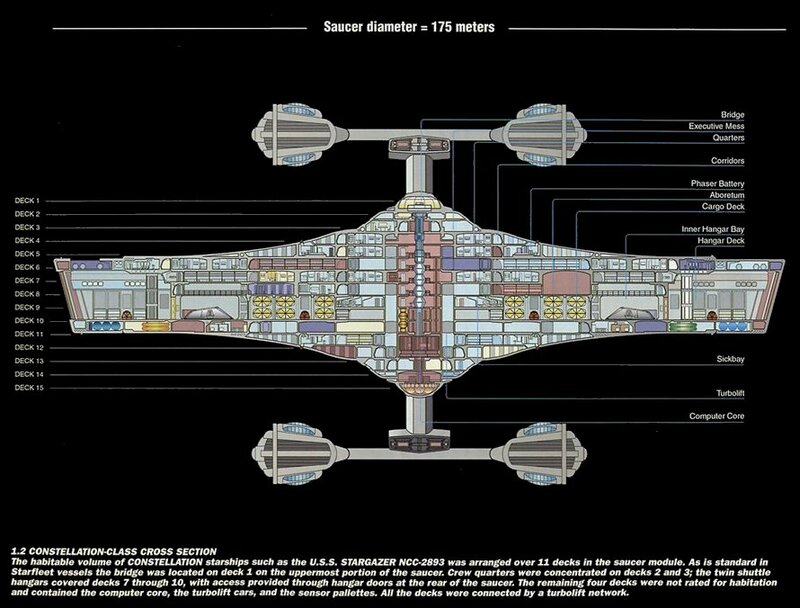 What was devised was a new class of starship that was built using already-available Constitution class parts from the refit design and building it into a starship with multiple redundancies. The Constellation class has four warp nacelles and four impulse drive units. This allows the starship to take more damage before these vital systems are disabled. The Constellation class was born of the practical experience of deep space exploration; a large bow hanger allowed the rapid front loading of cargo into the ship - cutting down on vital reloading time - as well as acting as a large hanger for shuttlecraft up to Wasp class runabout size. The ventral hull was designed for plug-in and operate sensors to be added to the basic design. This allows both for a clean hull design from construction but upgradeable and updateable sensor array to be added and removed easily to the ship. Starfleet Intelligence invested heavily into the Constellation class program as a platform for reconnaissance of threat and potential-threat nations. It was also easily justifiable as anthropological sensors for the study of distant cultures. The sheer scope of the design to travel without resupply for three years, beyond the boundaries of the Federation meant that unique questions about survivability were to be answered. Should the Constellation class be abandoned 'beyond the red line', how would the survivors evacuate? 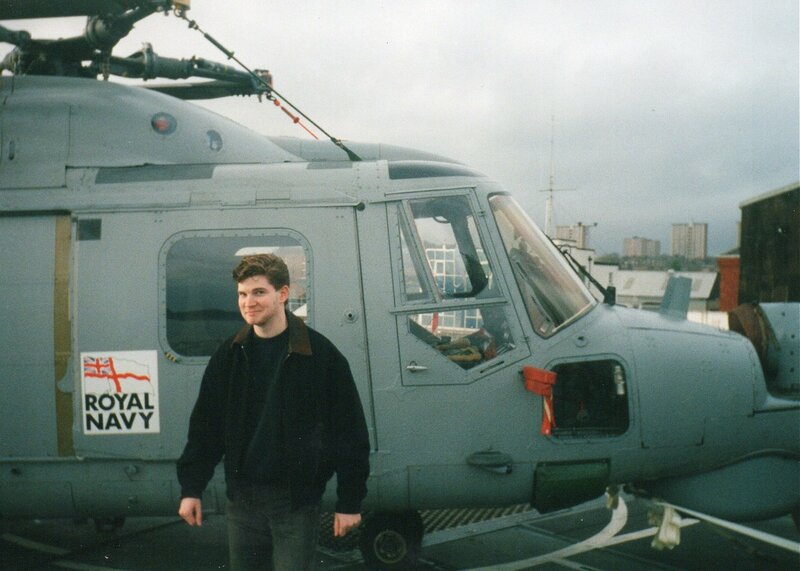 Conventional lifeboats were disregarded due to the duration of returning home sublight speed. The adopted solution was twofold: the warp-capable shuttles just coming into production would provide some escape potential as well as additional single-use warp lifeboats. In the first instance the unique 4-nacelle design would allow the Constellation class to reconfigure any two of the nacelles to form the requisit warp bubble to limp home. 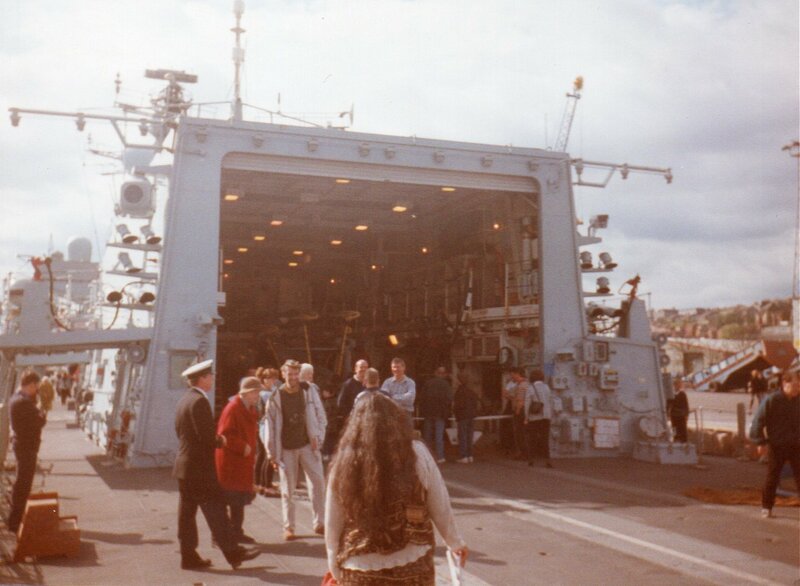 NX 1974, U.S.S. 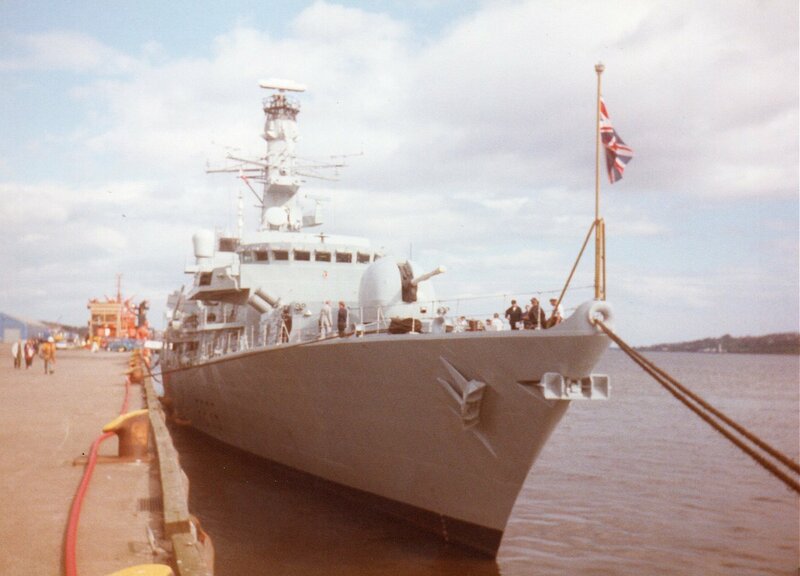 Constellation was launched on June 15th 2284 and entered an extensive period of testing; whilst later vessels of the class including Hathaway and Stargazer would be launched and commissioned into service the following year, operating under reduced capabilities whilst the Constellation was undergoing trials to ensure all of the long-range mission systems were operating as designed. The Constellation class was conceived to be a sensor-heavy cruiser; advertised in literature as a Star Cruiser to reflect this long-range independence, the Constellation class would be a one-stop-shop for exploration, diplomacy and scientific studies. 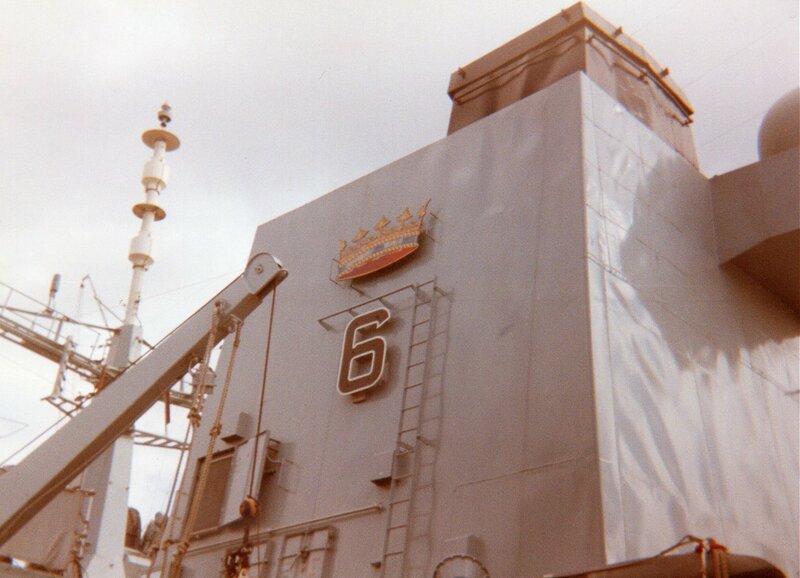 Hathaway, Stargazer and Gettysburg would operate and gain practical experience as the Constellation assessed and passed systems. The Valkyrie suffered a partial magnetic failure during construction; this resulted in a redesign of key engineering components and a delay in her launch until after Gettysburg. 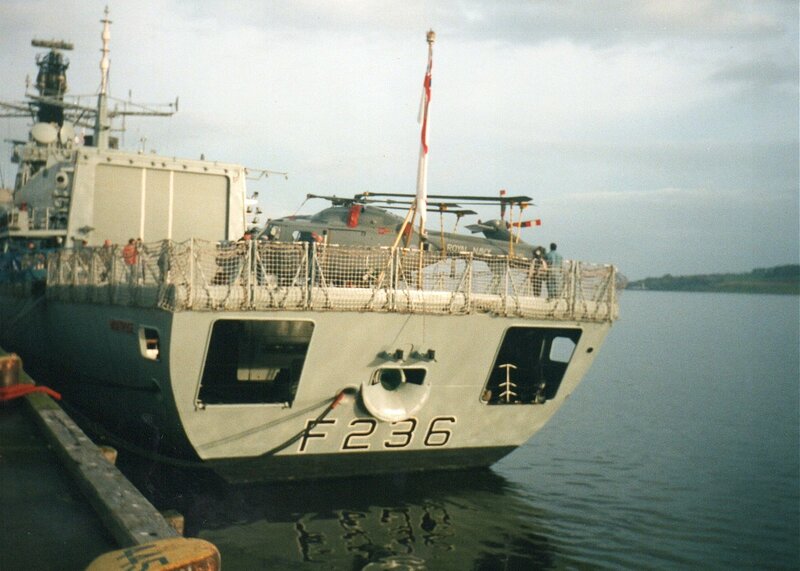 Constellation would join the fleet fully in 2293 and by the the class was able to operate to their full potential: 7 years or more in deep space operation, three of them away from resupplying. The Environmental sytems were a generation ahead of previous designs, allowing greater self-sufficiency. 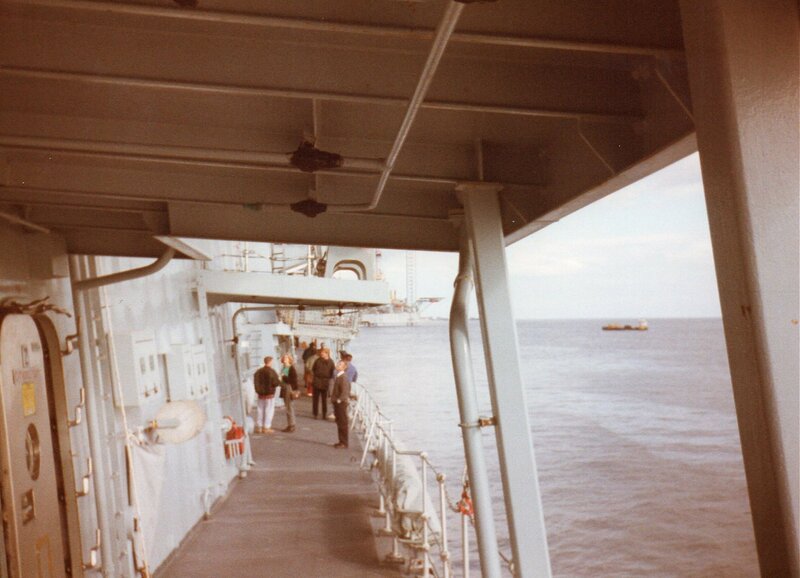 A system of crew rotation was devised to allow both promotion of crew up the ranks during their mission and also to prevent mission fatigue; the ship could stand up to the long mission, but the crew need to be treated more sensitively. Batch One Constellation class - [Notes taken from Rick Sternbach's article]. Constellation 1974 Prototype. 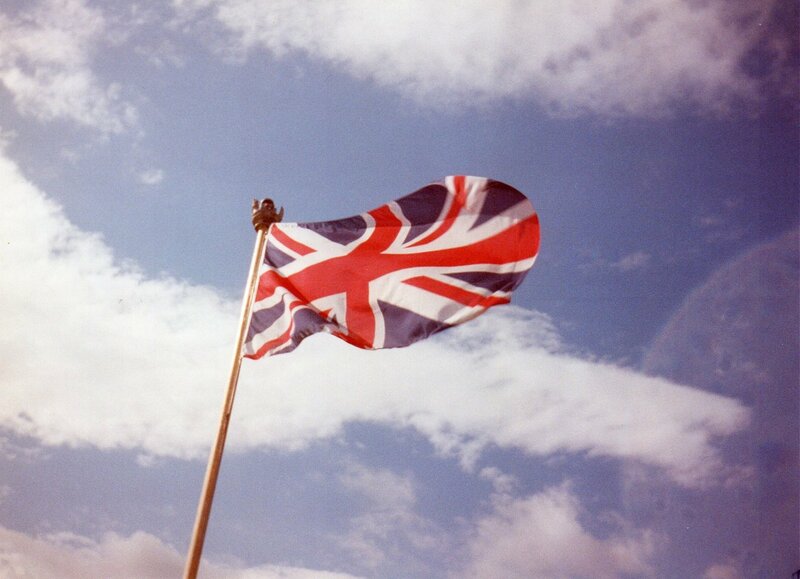 Launched 15/6/2284. Finished testing in 2293 at Starbase 24. Hathaway 2593 Second vessel commissioned. 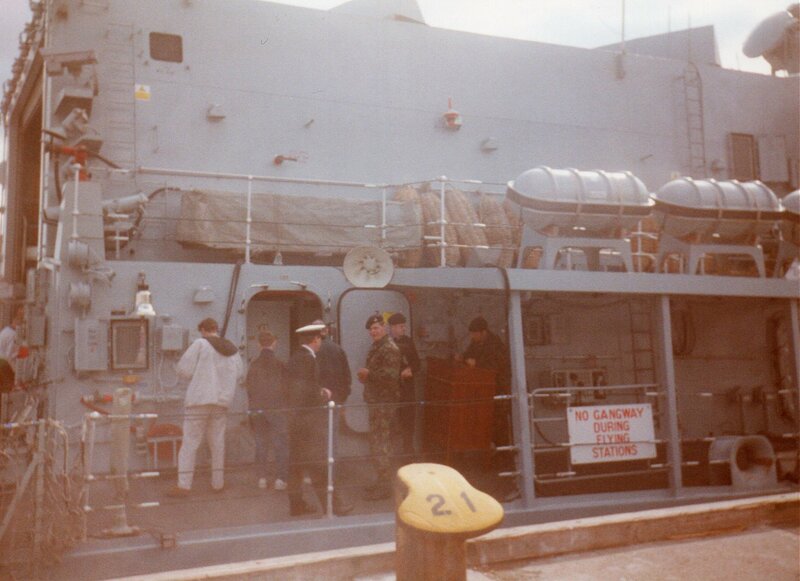 Launched 2285. 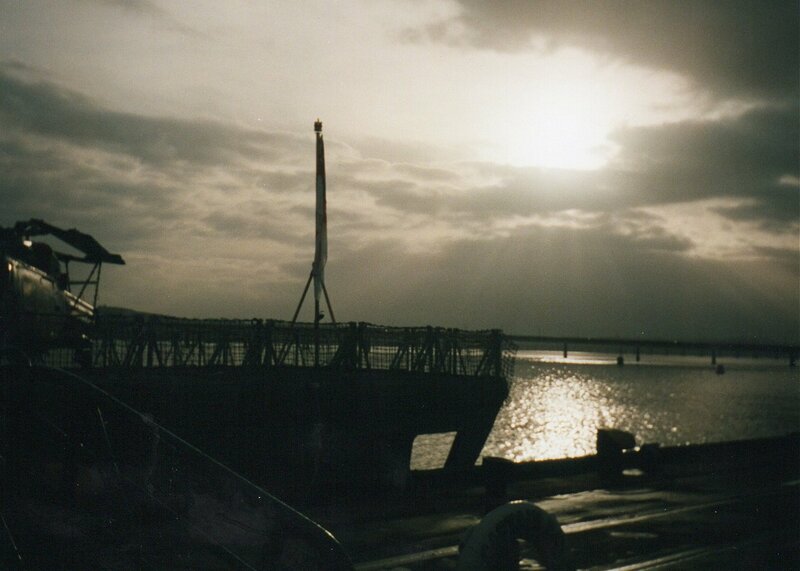 Stargazer 2893 Launched 23rd April 2285. Nov 2285 certified warp 8. 2286 crewed and ready. Captain Donald Capello was her first captain. Operated solo 2303 -2311. Sets new endurance records. Picards future command. Valkyrie 2590 Delayed launch as partial magnetic containment failure during construction. 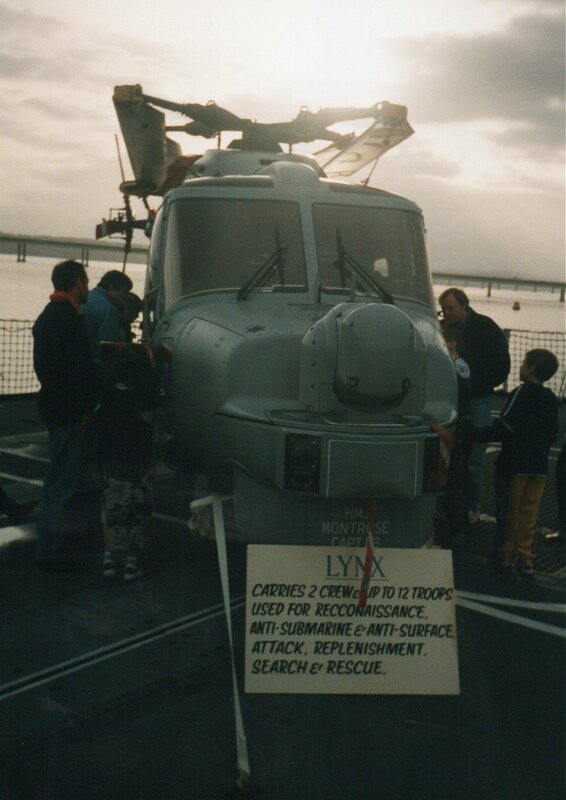 Stored at the Fleet Museum, Luna, after Voyager-era, alongside U.S.S. Stargazer. 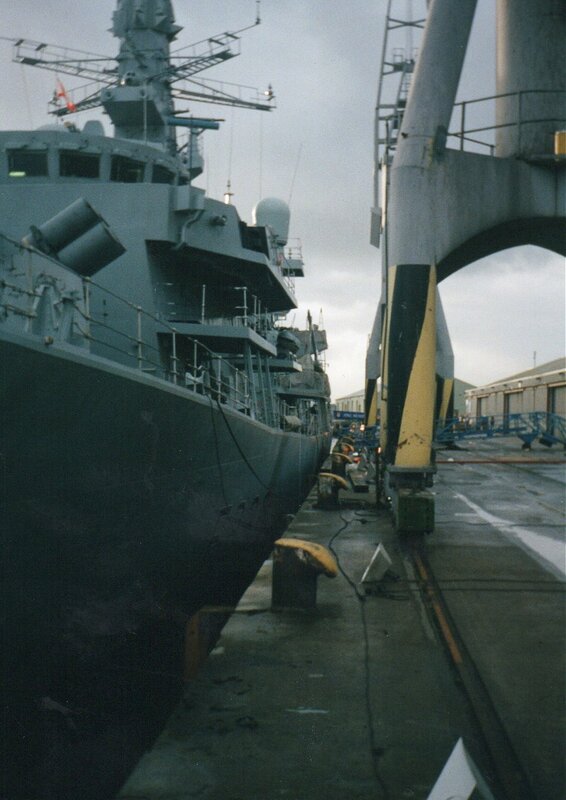 Both mothballed serviceable. Gettysburg 3890 Fifth vessel, named for the famous decisive American Civil War battle. Admiral Mark Jamieson's future command. Victory 9754 Named in honour of Nelsons flagship at Trafalgar. Gihlan 9761 Renamed from Houbolt in honour of her designer. Admiral Gihlan'T'Aehn died of a rare genetic condition. U.S.S. Gihlan was named in honour as the eighth and final member of batch one. 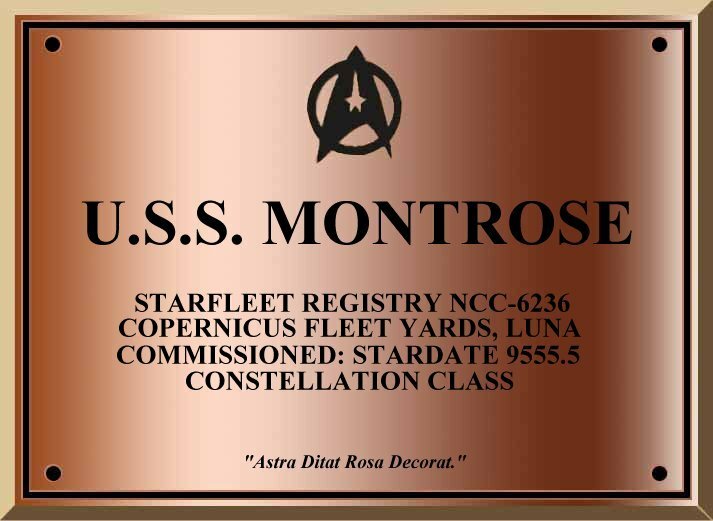 Author's Notes: It is only with the discovery of Rick Sternbach's article in January 2003 Star Trek: The Magazine that caused a major rewriting of the Constellation class section of my website - especially in light of the NCC Registry numbers. 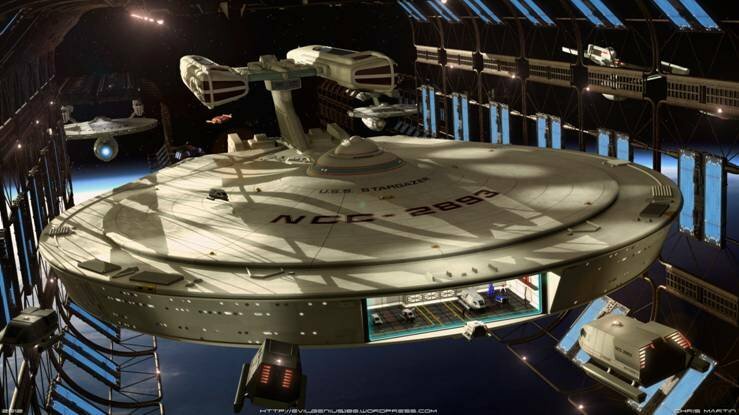 Finally definitive design details and a cutaway have been provided, enabling a fleshed out history for the Starfleet's primary deep space vessel design for the first half of the 24th Century. A later conversation with the designers of this ship: Rick Sternbach and Andrew Probert, helped flesh out more of the details - see later Author's notes. U.S.S. Montrose, N.C.C. 6236, was launched on Stardate 9555.5 (Earth year 2293) from Copernicus Orbital Fleet Yards, Luna. She is the second vessel of the second batch of the successful Constellation class Star Cruiser, designed to engage in deep space missions surpassing the five years designated for such missions so far. The term 'Star Cruiser' was coined for this class of starship as a publicity term - they can truly operate away from starbases for years. 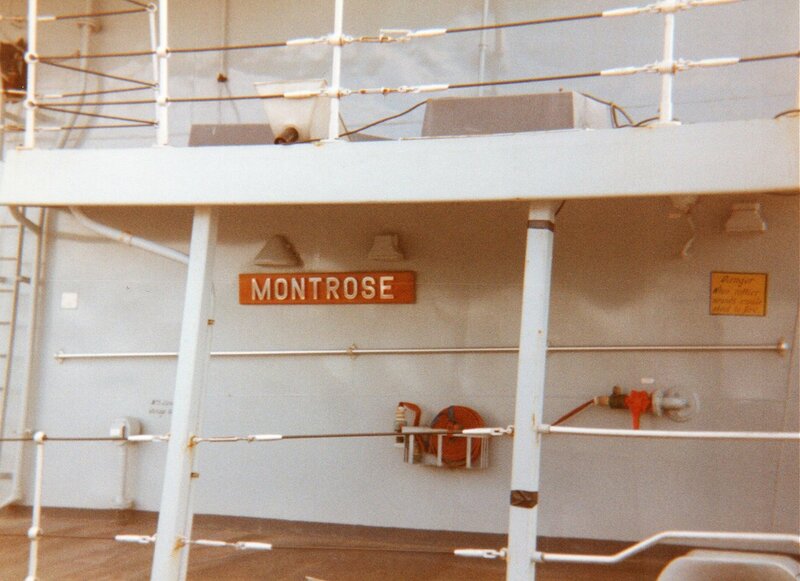 Montrose was laid down in 2287 as part of the second batch of Constellation class starships. 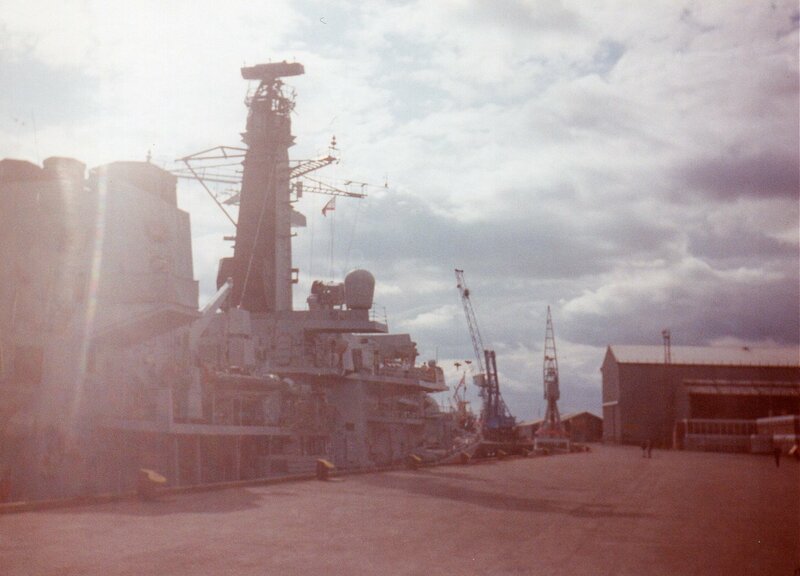 Five years of construction would follow, aided by the continuing trials of the prototype and practical experience from the first batch in service. The aim was to have the second batch ready for full deep space deployment. Her motto 'Astra Ditat Rosa Decorat' means 'The stars enrich and the rose adorns'. 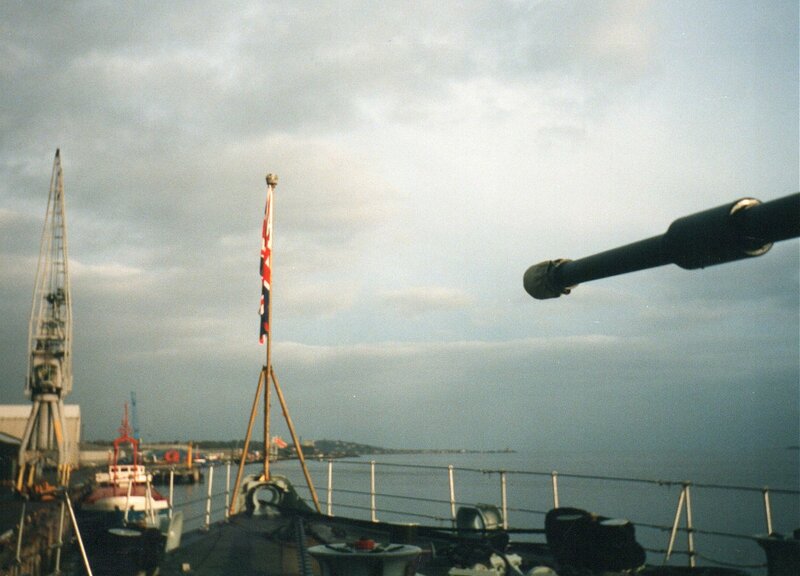 She was launched in 2292 from Copernicus Fleet Yards and proceeded to undergo trials until commissioned in 2293. The first mission was a four year exploratory study to continue on from the shakedown and study the races of the Klingon Empire and its borders. Upon her return, she was refit with the latest sensors and equipment and deployed in 2298 for a mission designed to last up to a decade. The mission was to study along the driftward side of Klingon, Romulan and Orion space. A large portion of the Constellation class design is for supplies and resources for keeping the vessel going in the absence of resupply venues. The reduced crew size for a vessel of this size reflects the need for sustainability away from home waters. 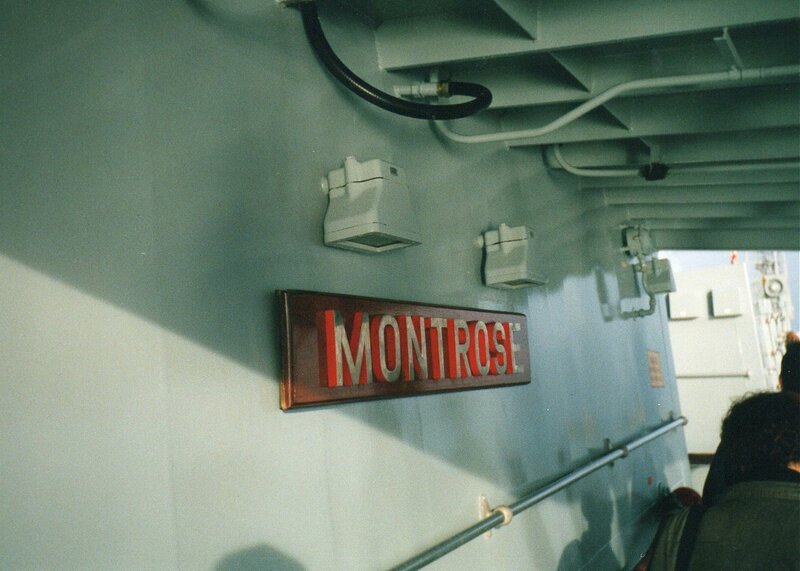 The Montrose has 5 shuttlecraft and 5 shuttlepods aboard. She has a maximum durability of ten years away from Starbase or Spacedock. 100 photon torpedo/probe compliment. The Montrose is in the typical 2290s configuration for Federation starships, minus the combined tactical station behind the Conn and minus the improved Master situation display. Tactical is split between two rearward-facing consoles flanking the Master Situation console. Many improvements have been made to the class since the launch of N.X. 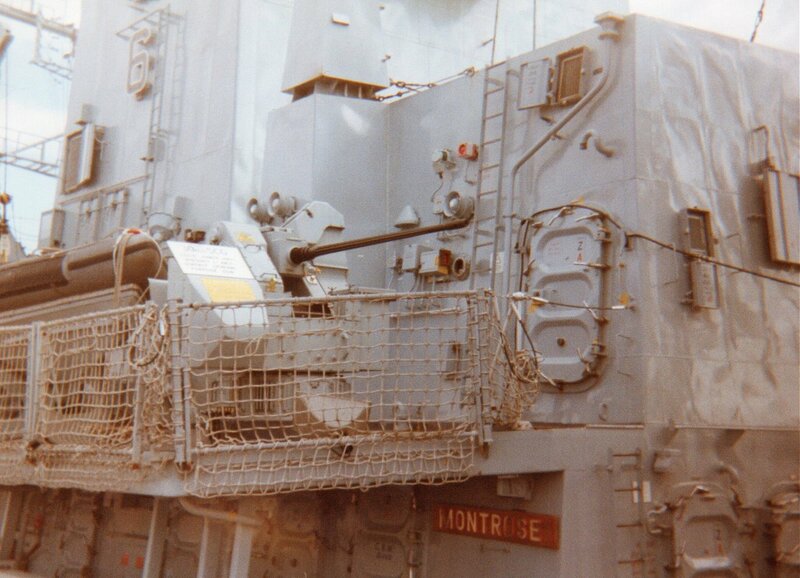 1974 in 2284, and many more have been made since the launch of the Montrose. 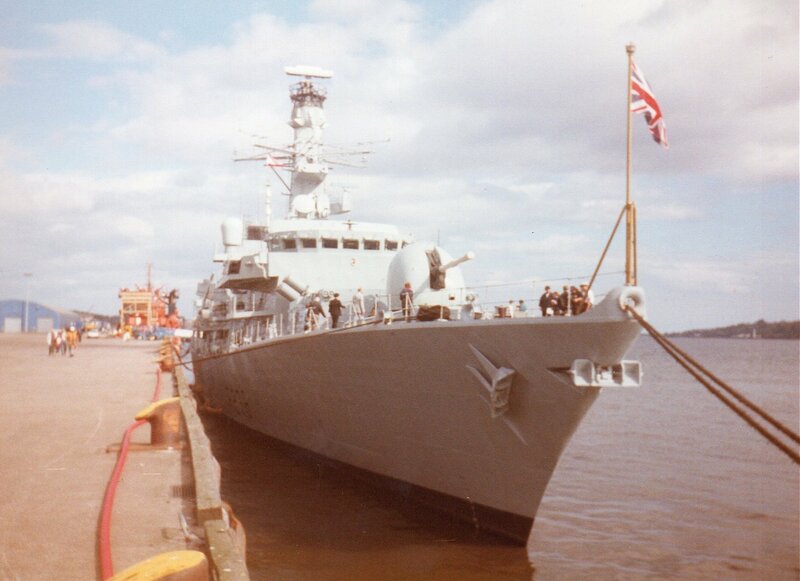 Diana 1981 Launched 2289. First vessel of the second batch. 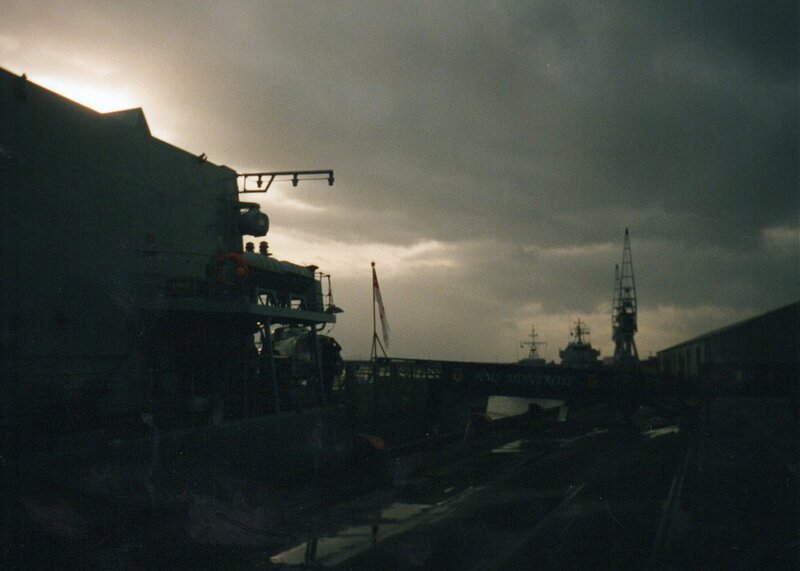 Heracles 2682 Launched 2290. Name from Chris Martin CGI. Pompeii 2982 Launched 2291. Name from Chris Martin CGI. 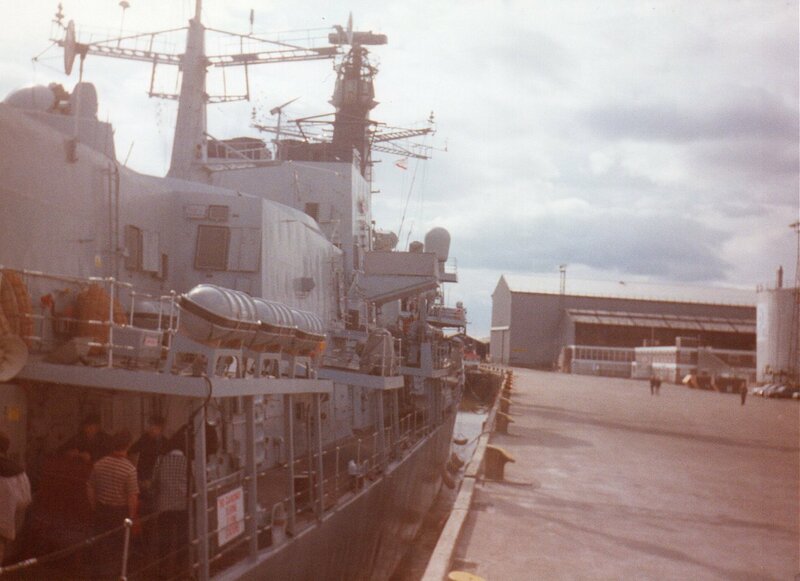 Javelin 3723 Launched 2291. Named for the Avro Javelin fighter, a design that never had to fire a shot in anger. 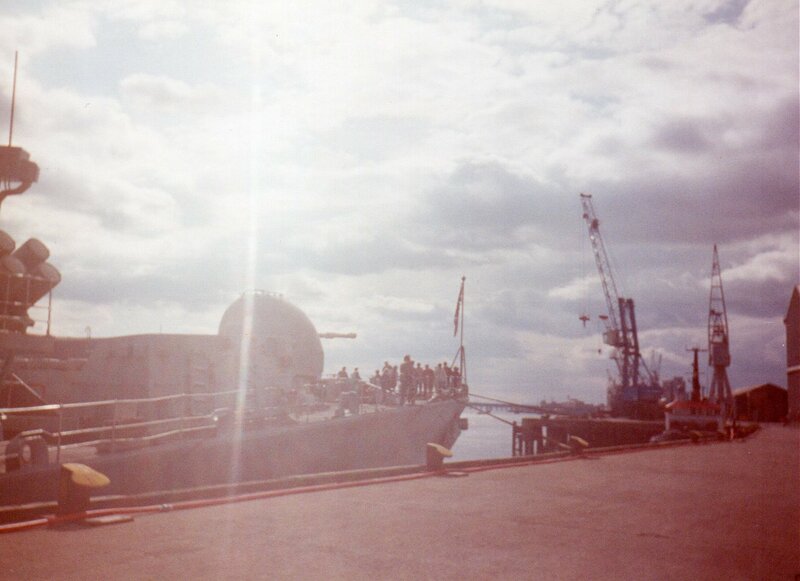 Cochise 4811 Launched 2292. Later seen in Stargazer novels. Houbolt 6205 Launched 2292. Second vessel of this class to be assigned this name. Montrose 6236 Launched from Copernicus Yards stardate 9555.5 . Hawkins' first major deep space assignment. Halifax 6330 Sixth vessel. 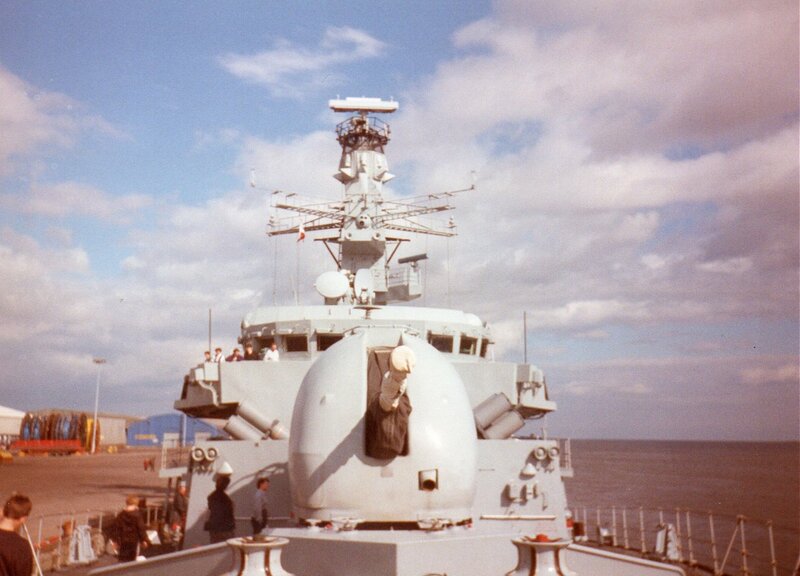 Named both for the towns in Canada and West Yorkshire, England, as well as the Canadian frigate. Tromp 6341 Seventh vessel. Named for the long dynasty of Dutch naval vessels. Cavalier 6354 Eighth vessel. Named for the sole remaining WWII Royal Navy destroyer. Dreadnought 7745 Ninth vessel. Named for the 1906 Royal Navy battleship. Named for a class 50 diesel railway locomotive and the first British nuclear submarine, as well as the revolutionary 1906 battleship. Antares Perhaps most used name in Starfleet. Name from Stargazer novels. Authors Notes: This article is dedicated to the designers and advocates of the Constellation class: to Andy Probert and Rick Sternback for designing the original Stargazer in Picard's Ready Room, to Greg Jein for upscaling that model to a full filming model, and thanks also to Doug Drexler for creating the CGI version for the Stargazer novels. On March 4th 2013 I corresponded with these individuals and received the following insights: AG Probert "Thank you,... it was fun, especially when Rick added some 'detailing' from our Anime parts collection." Rick Sternbach "Heh. But I have to tell you that every single one of those anime parts has a very specific but astoundingly secret Starfleet reason to be there. Honest." Rick Sternbach and Doug Drexler debated the practicality of abandoning ship in deep space: Rick Sternbach: "It occurred to me only after doing the magazine article that if trapped on the wrong side of the Neutral Zone, escape pods are probably not going to be very useful. Those hanger bays what got nice warp shuttles would be the best thing." This the fuelled the debate: Doug Drexler "Rick! What do you think about a single jump Lifeboat for missions like this? Thoughts?". The reply was: Rick Sternbach "Well, I think the smallest warp-capable craft we've ever done was the speedboat shuttle, so in terms of internal volume and nacelle size, you could certainly repackage the hardware into something lifeboat-shaped, perhaps more horizontal than the squat vertical shapes we've used for escape. Maybe something along the lines of the Mars Perimeter Defense torpedoes, but a bit more angular and utilitarian. Works for me." I asked about prolonged warp travel and Baryon Sweeps; Rick Sternbach "The Baryon Sweep was a writer invention but probably quite useful in doing some complicated quantum cleanup of the structure. I suspect that most starships and impulse craft have some established MTBF (mean time between failure) values for everything from deuterium injectors to hull plating, and they get scanned and serviced like your car. I mean multi-billion dollar space shuttles. When they were flying." 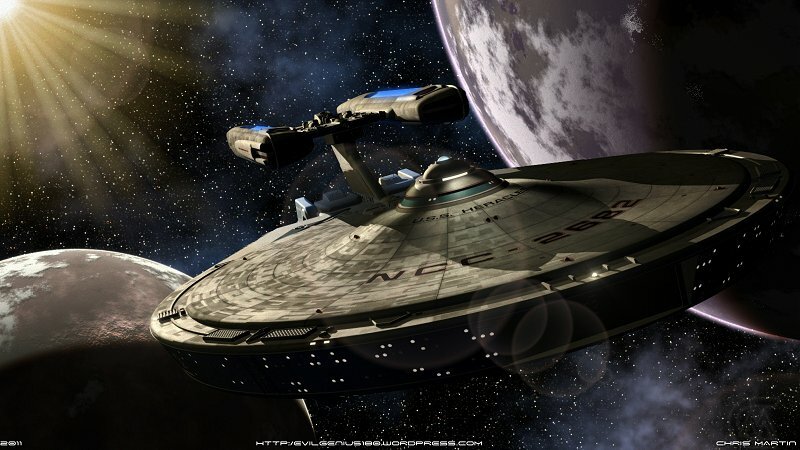 Finally I asked about shuttlecraft in light of the lifeboat debate: Adrian Jones "were the Trek V shuttles warp capable? Would we have an earlier version of the speed boat shuttle? 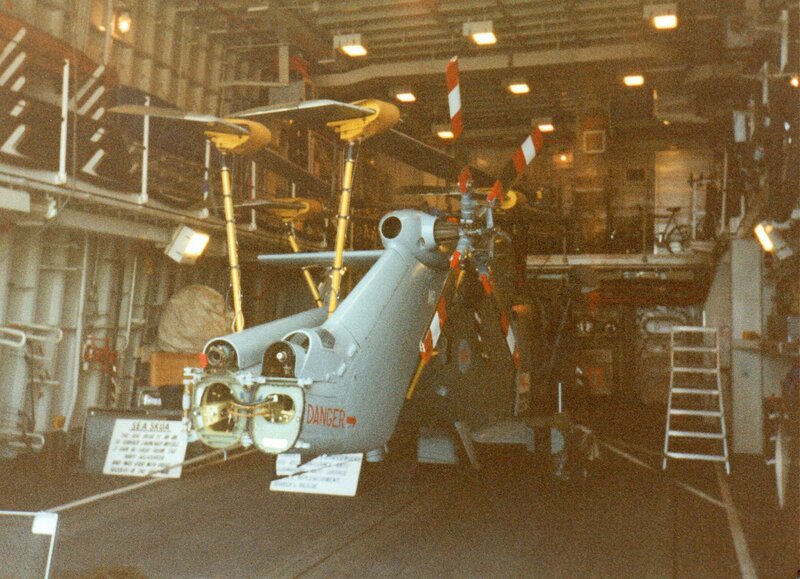 What about a proto runabout in the large front hanger?" and the reply: Rick Sternbach "The Trek V shuttles were probably warp capable, based on their nacelles. As to imagining other craft in particular lineages, it's a big sandbox. Go play." Constellation class construction is still ongoing, with one or two units delivered from Copernicus Fleet Yards every year. Rick Sternbach's article has led me to number the batch two Constellation class vessels with 5-digit registrations, with the exception of the first few members - following a talk with Starship Spotter author Alex Rosenzweig. The Constellation class design would be the revolutionary one that allowed for deep space exploration. FOUR warp nacelles were the important factor, along with TWO warp cores. This unique combination would allow the starship to maintain high warp for weeks, not hours. 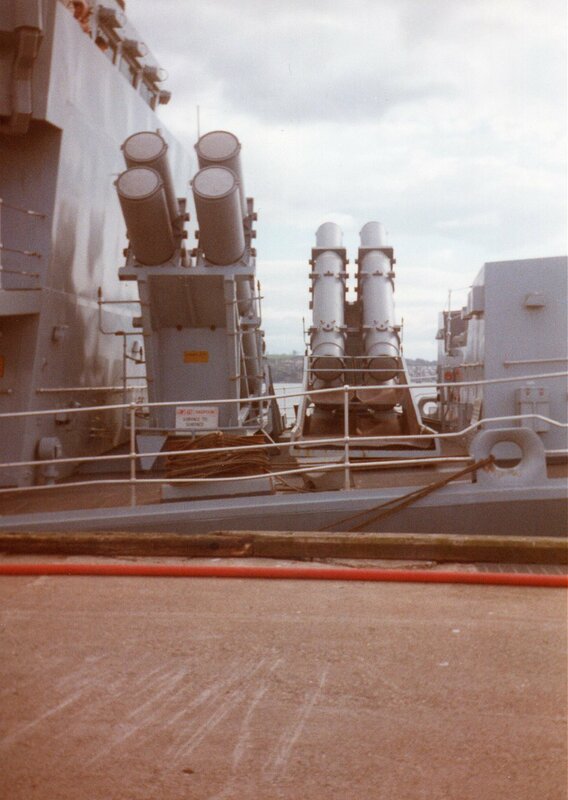 These were the Mo Farah of starships, as opposed to the Usain Bolt sprinters which are the Excelsior class. Four nacelle ships have been seen with the one-off 4-nacelle Alka-celsior prototype and the unique 4-nacelle Miranda class model. After the mass produced, succesful Constellton class, there is another design that is seen in Star Trek: The Next Generation at the famous Wolf 359 scene: Cheyanne class U.S.S. Ahwahnee, the sole survivor of the Borg assault (although the Nebula class Endeavour and Excelsior class U.S.S. Righteous are later to have been mentioned as survivors). Cheyanne class: the Constellation class successor for the late 24th Century. Introduced in the 2350s. U.S.S. Ahwahnee image Copyright © Rick Sternbach. 2298 - assigned to occupied Interstellar Cocordium space for cultural studies. 2299 - to Nimbus III for the Treaty of Nimbus.